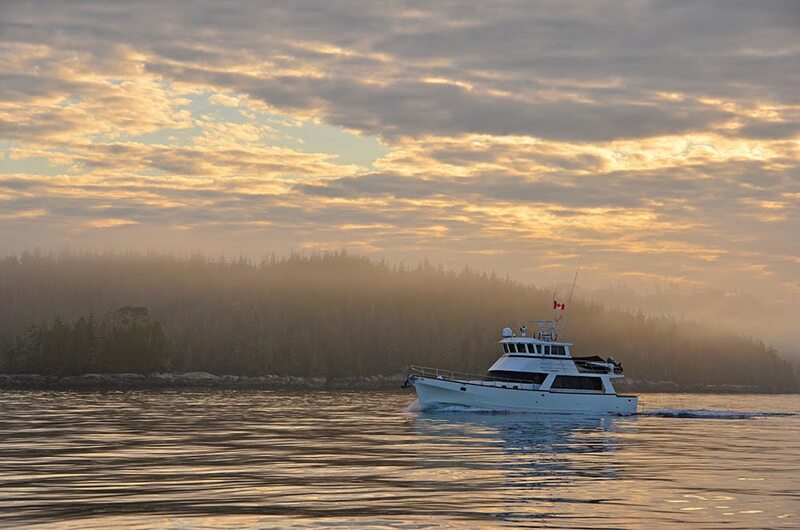 Rounding Cape Caution can be a challenge. Queen Charlotte Sound is one of the few places where the Inside Passage goes outside. Normally we go to Port McNeill before rounding Cape Caution. This gives everyone a chance to resupply (there's a supermarket! ), fill boats with fuel, and catch up on chores. Last year we got stuck in Port McNeill for several days waiting for strong winds to die down. I became a bit concerned when I looked at the forecast for the coming days. Sunday looked good, but Monday, Tuesday, and Wednesday didn't. If we headed to Port McNeill, we'd be stuck at least until Thursday. So I gave the group a few options: kill time in the Broughtons, wait in Port McNeill for several days, or make a long run around Cape Caution directly from Echo Bay. We chose the last option. 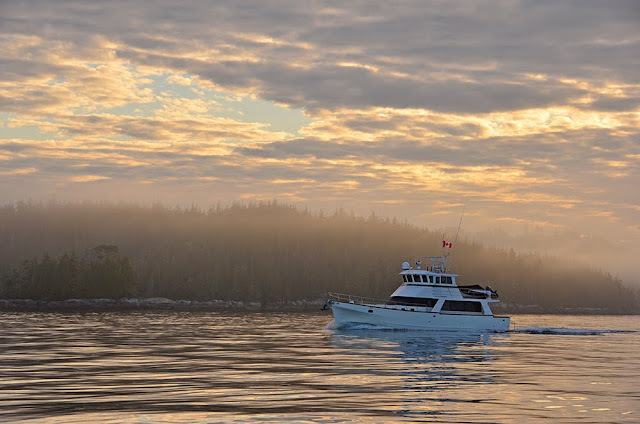 Echo Bay to Fury Cove is a long day—80 nm—so we got a 5:00 a.m. start. Mist hung in the air as the sun rose. The seas were glassy. The forecast was for northwest wind of 5-15 knots. West Sea Otter buoy reported 3 foot waves at 8 seconds. 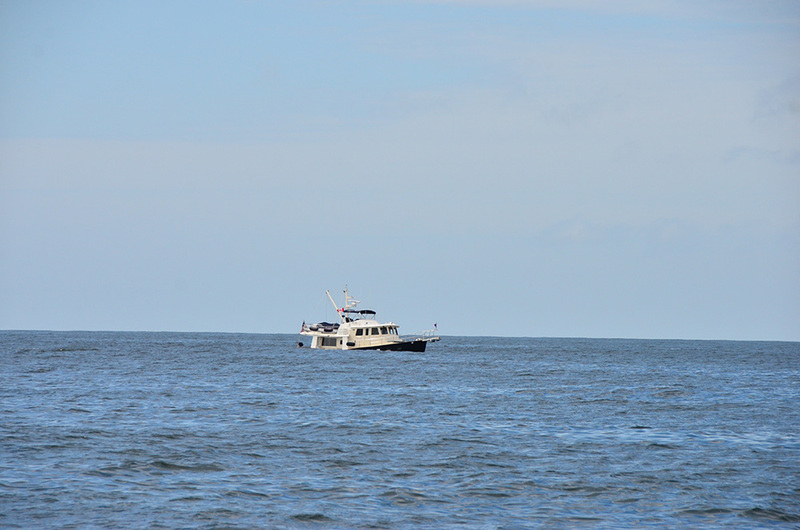 Egg Island and Pine Island lightstations both reported 1 foot chop and low westerly swell. We rode the ebb out of Queen Charlotte Strait, getting a knot or two boost from the current. Near the Jeanette Islands, the swells collided with the current and stacked up a bit. A few miles later the current died off and the swells spread out. 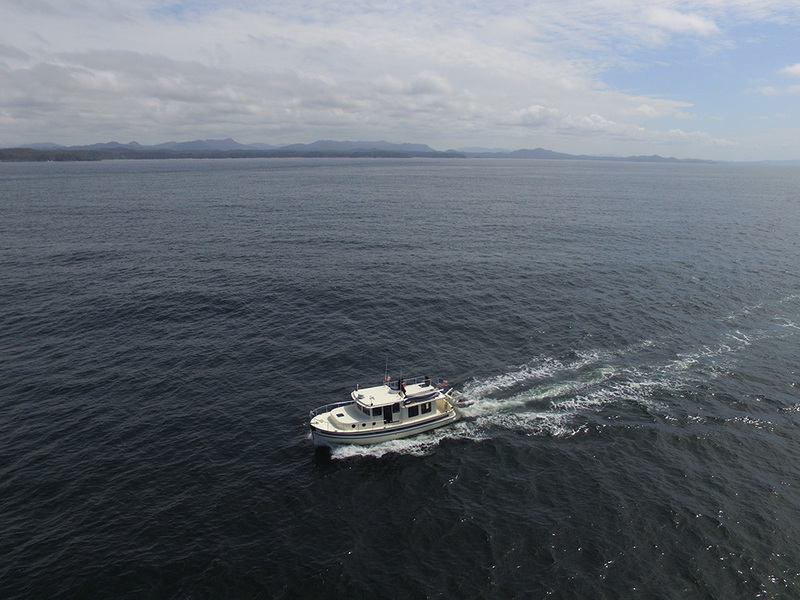 By the time we got to Cape Caution, it was calm enough to fly the drone from the boat. A nice day at Cape Caution! Mana Kai at Cape Caution. Just a lazy ground swell. We all made it into Fury Cove by late afternoon, got the anchors set, without any trouble, and enjoyed a relaxing afternoon. A few of us even jumped in the water to celebrate the smooth crossing!